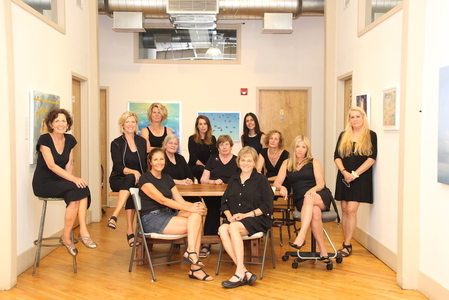 A gallery and work space, Wilson Avenue Loft Artists strives to nurture and enrich relationships between individual artists and the community through open studio events and other exhibition and sales opportunities. The WALA studios provide a supportive environment for making artwork and making connections to the arts community. In 2007, Britt Bair and Lori Glavin, both visual artists, were looking for studio space. Local businessman, David Genovese offered a solution…in the shape of an empty industrial space he owned in Norwalk. The idea was simple. Renovate and create artists studios to rent out to local artists. The need was definitely there. All studios are located on the 2nd floor at 225 Wilson Avenue, South Norwalk, CT. and have exposed brick, large double window, wood floors, gallery space, shared sink, freight elevator, 24 hour access and parking. WALA is a community of artists that provides a supportive working environment and the opportunity to make local connections. Currently, no studios are available. 2. What materials do you work with? 3. Do you plan to move in special equipment? 4. We rely on artist members to organize and promote our yearly open studio event. How do you see yourself contributing to our group? 5. What is your technological strength? Thank you for your application. Upon receipt, we will send more information on studio availability and WALA membership requirements.